Grand-Slam™ size-reduction impact crusher replaces old primary clay crusher and two hammer mills for an increased grinding efficiency of 20% and replacement part savings of thousands of dollars. Robinson Brick Co., Denver, Colorado. 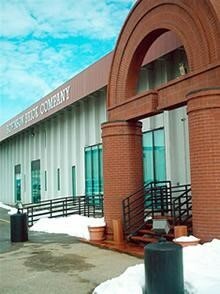 was formed in 1880 and is the oldest and largest brick manufacturer in Colorado. Operating with approximately 250 employees, the company manufactures 100 million bricks annually, as well as an extensive line of natural rock and thin veneer brick products marketed under such trade names as Robinson Rock™ and Old Brick Originals™. Over the years, the company has established a reputation for being the first in the industry to try new methods and new equipment. In the '40s, it installed one of the West's first tunnel kilns. In 1959, it opened a state-of-the-art showroom, also an industry first. 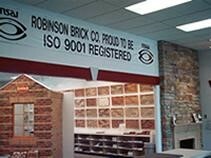 Robinson also installed the first robotic brick setting machine in the U.S., and in the fall of 1998, it became the first facing brick manufacturer in North America to be registered under the ISO 9001 standard. Robinson is also one of the most technologically advanced manufacturing plants in the industry. It continually upgrades its production operation, paying careful attention to quality. If part of the company's system is not keeping pace with production, the company quickly addresses the issue. 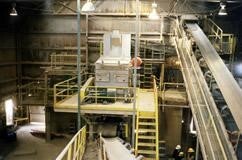 About three years ago, the primary crusher and the two hammer mills the company used to process its clay began slowing production and causing daily downtime. The hammer mills were high-maintenance and could not handle the frequent swings in moisture content. Production was often reduced to a crawl when the hammer mills encountered wet chunks of clay. Maintenance personnel were spending over five hours each night working on the hammer mills, not to mention the additional time for the crusher and associated feed belts. "We were constantly replacing the tips and shanks on the hammer mills and balancing them. They had to be extremely well balanced to handle the clay," said Tony Fabrizio, Robinson Brick director of manufacturing and research and development. "Between the primary crusher and the two hammer mills, replacement parts were costing us up to $20,000 a month, and the man-hours to keep the crusher and hammer mills going were too high. The inefficiency was not acceptable." Along with Plant Manager Mike Gomez, Fabrizio began searching for an alternative. In the fall of 2000, Robinson purchased a Stedman Grand-SlamTM 4860 impact crusher, GS4860AR/HC-T-X, with a capacity range of 100-150 tons per hour (tph). "We chose the Stedman because it was the most straightforward," Fabrizio said. "It was easy to use and maintain, and was also cost-effective." The new size-reduction impactor replaced both the primary jaw crusher and the two hammer mills that had functioned as secondary and tertiary crushers, as well as a pan grinder. During the initial reduction or first stage, the breaker bars on the impactor impel material against the primary apron. During the second stage, the reduced material passes through to the second apron for final reduction. Both aprons allow precise gap adjustment to ensure properly sized product for the specific application. The impactor provides up to a 30:1 material reduction ratio for more properly sized material on the first pass through. An open discharge on the impactor eliminates any clogging or buildup of material exiting the crushing chamber.The size-reduction impactor also increases crushing capacity and throughput so that the circuit runs more efficiently. It can handle a wide variety of materials, ranging from wet and tacky to hard and abrasive. Maintenance on the impactor is designed to be easy. The rotor breaker bars can be reversed or removed quickly, often completed in two hours and helping to minimize downtime. Additionally, the front and rear housing on the impactor is hinged and, when opened, provides unobstructed access to all areas of the crushing chamber and rotor. The rotor lock table allows breaker bars to be rotated or replaced by one person with minimum of downtime. Another benefit of the new impactor was that it was built to Robinson's specifications. One of the options Robinson chose was an air cannon with a timer. The air cannon periodically discharges a blast of air into the crushing area to dislodge dry material buildup, thereby reducing cross-color contamination and keeping buildup to a minimum. To further minimize buildup, Robinson also had heaters installed on the aprons and nose liner of the housing. The intake hood and the crusher support structure were also customized for Robinson to simplify the mounting of the Grand-SlamTM Impactor. The impactor was equipped with a proximity switch on the front-hinged housing for disengaging the crusher drive motor if the crusher should be opened while the rotor is turning. To give the plant additional control over the product, Robinson Brick outfitted the new impactor with its own variable frequency drive for the 300-hp crusher motor. The drive allows the speed of the mill to be increased or decreased to maintain the desired end product, and also helps when the moisture content is higher than normal and greater speeds are required. Feed hoppers meter the material into a Grizzly feeder and directly into the new impactor. Feed sizes coming into the impactor range from loose dirt to grapefruit-sized clay. What emerges is clay that ranges from one-half inch to particles as fine as powder. The impactor processes a mixture of 100% clay and grog at the rate of 70 tph. With the old system, the average was 65 tph. It operates 11 to 12 hours a day and handles two feed streams,the clay feed from the Grizzly and the return feed. Only about 10 to 15% are returns, impressive since past performance realized a much larger return rate of 20-25%. As the new impactor was being delivered, an accident occurred just a mile from Robinson Brick and the impactor was damaged so badly that it could not be installed. Robinson had prepared for the installation and was ready to shut down the plant. Stedman worked overtime to build a new impactor for Robinson. Within six weeks, another impactor was constructed and ready to be installed. "Stedman did an excellent job for us. They took care of us, and that is what matters," Fabrizio said. Robinson is also pleased with the overall service it has received from Stedman. "Whenever we've needed assistance Stedman has been right there. The Stedman guys know what they are doing, and we can get a hold of them during off hours and on the weekend," Fabrizio said. Overall, the company is very satisfied with its selection. "We are very pleased with the Stedman impactor. It was the right choice. It has eliminated grinding downtime in a big way," said Fabrizio. Gomez adds, "For example, our nightshift maintenance time was previously 6-8 hours each evening-now it is typically 3 hours per night. Our overall down time on this line, a combination of nightshift maintenance and operating time lost during the day, was 10 to 12 hours daily, now it is only 3 hours in a 24 hour day, and that's incredible. And our monthly part replacement cost has gone from $18,000-$20,000 [across both pieces of equipment] to only $6000." Bob Jaster, president/COO of Robinson Brick agreed. "[The new impactor] has effectively increased grinding efficiency by 20%. I am really happy we bought it," he said. For more information or testing procedures contact us.